This week, the Wall St Journal reported that the NY Board of Regents approved the state's sharing of student and teacher information with a new national data base, to be funded by the Gates Foundation, and designed by News Corp's Wireless Generation. The Regents approved this project, despite the NY State Comptroller’s veto this summer of the State Education Department’s proposed no-bid contract to Wireless to build a state-wide data system, apparently because the state is not paying money to participate. According to sources who were present, while several Regents expressed concerns, Betty Rosa of the Bronx was the only member to abstain. The others apparently thought that even though the Comptroller-- and the public as well—had opposed this contract in large part because of the privacy issue and the involvement of Murdoch’s company, which is still embroiled in a major phone-hacking scandal in the UK, these issues were not important enough to ask for more information or to delay the state from going forward with the deal. The cost of the development of the SLC will be the responsibility of the SLC, not New York State. Consistent with the Comptroller's concerns regarding Wireless Generation, no New York State funds will be paid directly or indirectly to Wireless Generation or any of its subsidiaries for the development of these SLC services. … As mentioned above, each state and school/district will retain sole ownership of its data. Only anonymous data will be used for SLC system development. As in any system development project, a limited number of authorized vendors will need to access actual educational data for system operation and improvements. Along with Wireless, some of the other companies involved will be two consulting companies: Alvarez and Marsal, who were behind the disastrous reorganization of NYC school bus routes in the winter of 2007, and McKinsey, which led the first reorganization of Children’s First in 2003, which included dissolving the district structure (contrary to law) and totally writing off parent input. In other words, companies will be making more money off our kids’ test scores. They add a standard disclaimer, that “Designing protections for student privacy will be addressed throughout the development of the system, and data access and usage models will be designed to support compliance with the Family Educational Rights and Privacy Act and other privacy laws” without any assurances of how this will be achieved. So, the ghoulish Murdoch and his factotum Klein don't have to hack into the student's and teacher's data - as was done in Britain, where Murdoch's hired ghouls hacked into the cell phone voice mail of a murdered child - but are to be given the data by the people who are running the schools and doing everything they can to turn them over to the 1%. Let's just indenture the kids right now to a lifetime of debt, dead-end jobs and the prison-industrial complex. It would be far more efficient. This is a ridiculous post. Do you have any idea how science works? It seems not. Another nightmare coming to our schools. Another way that Murdoch will "hack" away at a child's information and education. If the Mayans predicted that the world is supposed to end 12/2012, we need not worry. Murdoch is doing the destruction for them. Another good reason to homeschool! It takes a lot to keep the lie machine running 24/7, 365. Data is data. It can be manipulated for the highest bidder. Who will Bloomberg and cronies like Tisch pay off for outcomes that are favorable for the NYC District? They seem to be the only group that makes out in any changes made by the Board of Regents! Parents are left out! School Districts are left out. They have a bunch of 20 something "Fellows" working for a Foundation supported by Tisch, her husband and the Gates Foundation making all of the evaluative decisions for the Board of Regents! What next? Get rid of all teachers and have all kids take on-line courses? 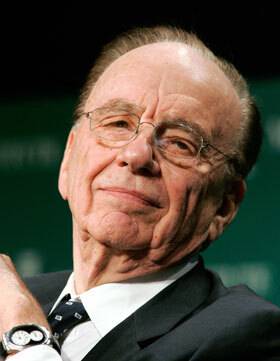 Murdoch is counting his bags of money now. laRead John Taylor Gatto's book, "Dumbing us Down". It shows who created and who runs the school system. It is NOT educators but corporations and major business people. Schools are to make workers and consumers....NOT to educate your kids. This article proves that point quite well. Check it out. Do yourself, your kid and our nation a favor. READ the FERPA LAWS and demand that your child's 'data' remain confidential! Those who are saying people should homeschool should know that homeschoolers are being targeted for inclusion in these databases. Please help us fight for smaller classes in 2012! free movie screening Thurs. Dec. 8, at 6 PM!